The GPRC Wolves Women’s XC Running Team opened their 2015 season the same way they ended their 2014 season: with another victory. Fielding a full team for the first time this fall, the Wolves defeated Concordia University Edmonton and U of Alberta – Augustana in ACAC Race 2 – The Steve Burgess Memorial at the Wapiti Nordic Trails on Saturday. The local squad was led by 4th year runner Jamie Wigmore who placed first amongst the college women (and second overall). Wigmore recorded a time of 20:40 for the extremely hilly 5 km loop. Teammate Maria Houle placed third. Other Wolves’ finishers included Christie Shepherd (6th), Ashley Camsell (8th), Kirstin Manz (11th), Ciera Verduzco (22nd), Tamica Campbell (23rd), and Emily Whalen (25th). The overall winner of the women’s 5 km race was the Running Room’s Jen Norminton (20:30). Brandon Wladyko was the top GPRC male placing second in the men’s 8 km in a time of 30:20. Joel Demarcke (8th), Josh Malmesten (10th), and Kyle Murray (15th) were the other Wolves’ finishers. Concordia’s Kirk Sundt was the top 8 km runner (28:11). The Concordia men won the team title ahead of second place University of Alberta – Augustana. The Wolves placed third. 152 athletes of all ages and abilities took part in this year’s Steve Burgess Race. Full results are posted on the Wolves XC Running Series website. Race #3 in this year’s Wolves XC Running Series, the Bezanson Bog, goes next Saturday. The GPRC Wolves varsity team next sees ACAC action on October 3 when they travel to Calgary to participate in ACAC #4 – The SAIT Open. 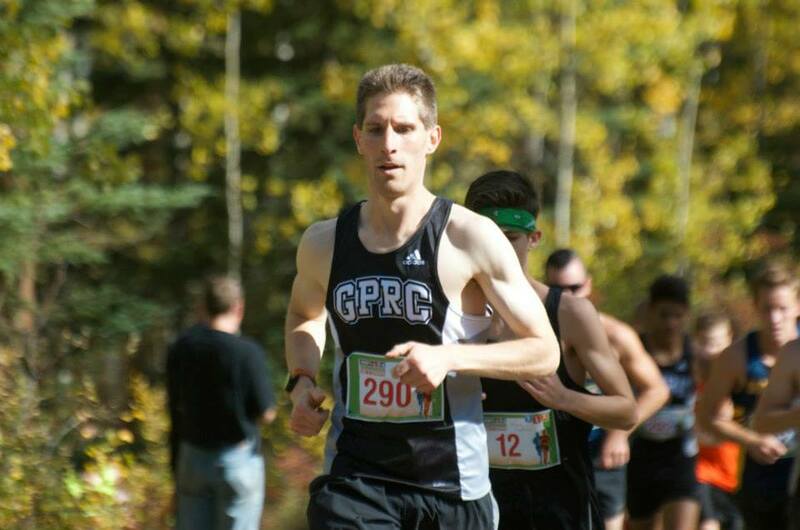 This entry was posted in Cross Country, Uncategorized and tagged ACAC, Augustana Faculty, CCAA, Concordia University College, GPRC Wolves, GPRC Wolves Cross Country, GPRC Wolves X-C Running, Grande Prairie, Jamie Wigmore, Wolves Athletics Club, Wolves X-C Running Series. Bookmark the permalink.